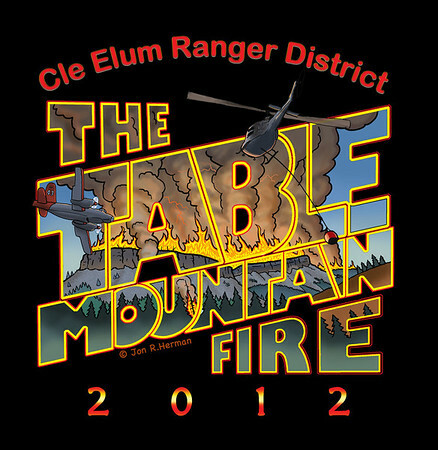 This is a T-shirt design I did for the Cle Elum Ranger District that commemorates the 2012 42,000 acre Table Mountain Fire. It was the biggest fire we've had around here in living memory. Although cartoony in style, the illustration is not an exaggeration!